青岛睿杰塑料机械有限公司位于青岛胶州市，距青岛机场30多分钟车程，多条高速公路横贯胶州市。青岛睿杰塑机是专业从事塑料挤出设备、塑料辅机、塑料模具的集科研、开发、制造、销售、服务于一体的高科技企业;拥有雄厚的技术力量，完善的检测手段，经验丰富的技术人员和技术工人;对塑料工艺、配方和塑料机械有着透彻的了解和丰富的经验，从来保证了所生产的塑料机械具有高品质、高性能。青岛睿杰塑机的产品已经出口到美国、俄罗斯、印度、匈牙利、泰国、沙特、伊朗、南非、肯尼亚、巴西、阿根廷、阿塞拜疆等国家。 青岛睿杰塑机生产的塑料机械主要包括管材、片材、板材、型材生产线，造粒，破碎机组等二十多个系列一百多个品种。其主产品有：单壁波纹管生产线、双壁波纹管生产线、波纹管生产线、波纹管成型机、PVC穿线管生产线、MPP电缆电力管设备、塑钢缠绕管生产设备、木塑建筑模板生产线、木塑型材机械、PVC管材生产线、PE管生产设备、PPR管生产线、尼龙管生产线、蛇皮管挤出机、木塑生产线、生态木生产线、波纹穿线管设备、MPP波纹管生产线、HDPE压力管道挤出生产线(供水/燃气)、PVC供水管生产线、PVC木塑建筑模板生产线、 PVC结皮发泡板生产线、PVC广告板生产线、PVC橱柜板生产设备、PVC装饰板挤出机、PVC扣板生产线、绿可木设备、木塑门板机器、塑料板材生产线、塑料片材生产线、木塑型材生产线、PVC仿大理石板生产线、PVC石塑线条生产设备、PVC石塑装饰板设备、PVC仿大理石线条设备等。 企业认证：青岛睿杰塑机先后通过ISO9001质量管理体系认证， ISO14001环境管理体系认证，欧盟CE认证。 企业理念：青岛睿杰塑机秉持科技先行，精益求精的生产理念;坚持以市场为导向，以质量求生存，以创新求发展的经营理念;以为客户创造价值，共赢共发展为宗旨。 Qingdao Ruijie Plastic Machinery Co., Ltd. is located in Jiaozhou Town ,Qingdao City ,Shandong Province . It takes about 30 minutes from the company to Qingdao airport . With multiple high-speed roads go across Jiaozhou Town ,the traffic is very convenient. Qingdao Ruijie Plastic Machinery Co., Ltd. is a high technology company combinating the ability of researching ,inventing,manufacturing,selling and services together .Ruijie company is in the field of plastic machinery ,auxiliary machine, plastic moulds and so on. With high technological background ,perfect testing methods, richly experienced engineers and rich experience in plastic technology,formula, Ruijie company assure to offer you high quality and nice performance plastic machinery. The customers of Ruijie company are all over the world . We have exported successfully to The United States,Russia,India,Hungry,Thailand,Saudi Arabic, Iran,South Africa, Kenya, Brazil,Argentina,Azerbaijan and other countries . 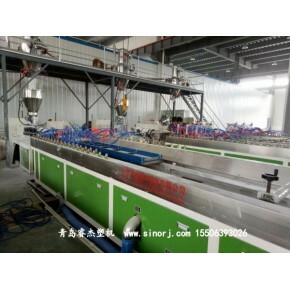 Ruijie Plastic Machinery company owns more than 20 series and about 100 different plastic machines ,such as plastic pipe machine,plastic sheet machine,plastic board machine,plastic profile machine,plastic granule/pellets machine ,crusher and other machines. The main machines which Ruijie company makes are plastic steel pipe making machine(HDPE steel reinforce pipe production line/HDPE spiral pipe extruder/HDPE large diameter plastic steel pipe extrusion line/Plastic steel tube extrusion machine), HDPE pipe extrusion line(water supply/ gas) , PVC pipe plastic machinerywater (supply/drain) , PVC electricity conduit pipe making machine, PE/PVC single wall corrugated pipe extrusion line(spiral wire conduit pip),PPR pipe extruder machine, nylon/PA pipe line , fiber reinforced soft PVC hose equipment, PVC crust foam board extruder(formwork board,advertisement board,furniture board,decoration board) , PVC profile making machine(window/door),ceiling panel extrusion machine, PE/PVC board machine, PVC sheet equipment, WPC profile machine ,etc . 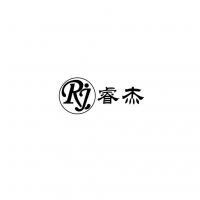 Company Certificates_58_Ruijie Plastic Machinery Company has passed ISO9001 Quality Management System Certificate, ISO4001 Environmental Management System Certificate , CE Certificate and other certificates. Company Philosophy_58_Ruijie Plastic Machinery Company takes the technology as the most important and makes the better machine. We owns the business philosophy of directing by market ,living on the machine quality, developing on the innovation. We try to create value for clients and grow together with clients.